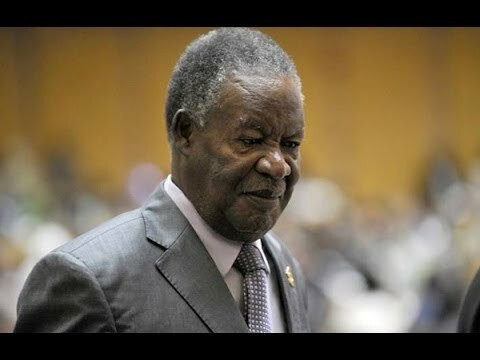 Former Minister of Finance Alexander Chikwanda has made a startling revelation, that late President Michael Sata’s speech to Parliament was switched by his handlers. He was made to read another speech. Chikwanda has since reproduced the speech that the ailing President Sata should have read. He said was so undermined by people around him that they hid his original thoughts, ideas and speeches. And Chikwanda has called for internal democracy in political parties and Freedom of Assembly for political activities in the country. IN ZAMBIA, WE HAVE DEVELOPED A PRACTICE, OR RATHER A CULTURE OF BLENDING SLOGANS, MYTHS, ASPIRATIONS AND REALITY INTO INTRICATE PROPORTIONS. INVARIABLY, PIOUS HOPES ARE ADRIFT OF OR AT VARIANCE WITH REALITY. LET US START WITH POLITICS. THE CURRENT MYTH IS THAT WE ARE SO DIS-UNITED THAT WE NEED EXTERNAL MORIBUND ORGANISATIONS, ESSENTIALLY HEADED FOR THE HISTORIC GARBAGE HEAP OF OBSCURITY AND OBLIVION, TO FOSTER DIALOGUE AMONGST OURSELVES AND HENCE ENHANCE NATIONAL UNITY. AS A CONSEQUENCE, WE EVEN HAVE ENVOYS WHO SHOULD BE DEPLOYED IN THEIR COUNTRIES OF ORIGIN WHERE THERE IS INJURIOUS, BUT HOPEFULLY NOT IRREVERSIBLE, DISORDER. THE REALITY IS THAT ZAMBIA IS MEANINGFULLY UNITED IN OUR LITTLE DIVERSITY. WE ARE NOT AND SHOULD NOT STRIVE TO BE A MONOLITH. THE IMPERATIVES OF POLITICAL PLURALISM REQUIRE THAT WE ACCOMMODATE AND TOLERATE FREE COMPETITION OF IDEAS. OF COURSE, THERE IS CONSIDERABLE ROOM FOR IMPROVEMENT ON BOTH SIDES OF THE POLITICAL DIVIDE. THE IDEA OF OUR FOUNDING FATHERS AND MOTHERS OF “ONE ZAMBIA, ONE NATION” IS INDELIBLY EMBEDDED IN OUR NATIONAL PSYCHE. THERE IS, HOWEVER, ONE GLARING SLIPPAGE AND/OR LAPSE IN OUR POLITICAL SCHEME OF THINGS. WE ALL HAVE AND DEMAND PRIVILEGES AND UNFETTERED RIGHTS. WE, HOWEVER, DO NOT ACCEPT OR ARE TOTALLY AVERSE TO EMBRACING THE DUTIES, OBLIGATIONS AND RESPONSIBILITIES THAT ARE THE FLIP SIDE OF OUR RIGHTS. OUR DEMOCRACY CAN ONLY HAVE MEANING IF WE ALL UNRESERVEDLY ACCEPT OUR OBLIGATIONS AND RESPONSIBILITIES. THOSE IN THE OPPOSITION MUST STRIVE FOR ASCENDANCY THROUGH PEACEFUL MEANS AND ABOVE ALL MUST ACCEPT ELECTORAL ADVERSITY, ESPECIALLY WHEN ELECTIONS HAVE BEEN GIVEN A CLEAN BILL OF HEALTH BY THE QUITE SCEPTICAL INTERNATIONAL COMMUNITY. FOR THE RULING PATRIOTIC FRONT (PF), WE SHOULD ACCEPT THE OBLIGATION TO MAKE THE POLITICAL PLAYING FIELD LEVEL AND PREVENT ALL FORMS OF COERCION. WE SHOULD PREVAIL ON LAW ENFORCEMENT AGENCIES NOT TO DENY THE OPPOSITION THEIR LEGITIMATE RIGHTS OF ASSEMBLY ON ALL KINDS OF FLIMSY GROUNDS. WHERE VIOLENCE MAY BE SUSPECTED, THERE SHOULD BE ENOUGH REINFORCEMENT OF OFFICERS – OF COURSE A COSTLY BUT NECESSARY PRICE FOR DEMOCRACY. IT IS LIKELY THE OPPOSITION PARTIES MAY NOT EVEN USE THESE PLATFORMS TO GAIN ELECTORAL RESPECTABILITY BECAUSE THEIR MESSAGES ARE OFF-TANGENT. THE PF HAS A TRACK RECORD OF STRONG INTERNAL DEMOCRACY AND HAVING HELD ZAMBIA AS AN OASIS OF TOGETHERNESS, PEACE AND STABILITY – A CONTINUATION OF PREVIOUS ADMINISTRATIONS. WE SHOULD NOT PANIC AND SEEK RECOGNITION FROM THOSE WE DEFEATED FAR BEYOND THE CONSTITUTIONAL REQUIREMENT OF THE 50% PLUS ONE VOTE. PF LEADERS SHOULD BE OUT IN THE FIELD TO ENSURE HIGHER PERCENTAGE POLLS IN OUR STRONGHOLDS. WE HAVE THE HUGE ADVANTAGE OF NUMBERS IN THE NORTH, COPPERBELT AND LUSAKA. MUCHINGA AND NORTHERN HAD 82,000 MORE VOTES THAN THE SOUTHERN PROVINCE WHICH HAD A MUCH HIGHER VOTER TURNOUT THAN THE TWO PROVINCES. THE VOTES FROM THE WESTERN AND NORTH-WESTERN PROVINCES ARE A LOT FEWER THAN THE SEVEN CONSTITUENCIES IN LUSAKA. HERE AGAIN, IT IS A MATTER OF MOBILISING SUPPORTERS WHATEVER THEIR GRIEVANCES AND FRUSTRATIONS AS THE ECONOMY SLOWS DOWN. WHEN WE CHANGED FROM ONE PARTY TO PLURAL POLITICS, WE DID NOT CHANGE OUR FLAWED INSTITUTIONS. WE MERELY CRAFTED MULTI-PARTYISM ON THE DEFECTIVE INSTITUTIONS OF THE ONE-PARTY STATE, THE IMMUTABLE INTERNAL LOGIC WHICH WAS THE INDIVISIBILITY OF POWER REPOSED IN ONE INSTITUTION – THE PRESIDENCY. THE LOGICAL SEQUEL OF THIS ARRANGEMENT WAS INEVITABLY THE PRIVATISATION OF THE STATE AND NO VERITABLE MECHANISM TO REVERSE THIS HAS BEEN ATTEMPTED. WE ALL MOURN LATE PRESIDENT SATA WHO WAS UNDERMINED BY PEOPLE AROUND HIM TO THE EXTENT OF HAVING THE SPEECH HE ORDAINED FOR THE FOURTH SESSION OF THE 11TH NATIONAL ASSEMBLY OF FRIDAY 19TH SEPTEMBER 2014 REMOVED FOR ONE HE FOUND WAS NOT HIS SPEECH. HE WAS ALARMED AND SEVERELY CONSTRAINED TO READ THAT SPEECH AND UNFORTUNATELY, HE JUST MADE OFF TANGENT JOKES. I QUOTE HERE BELOW WHAT WAS IN OUR LATE DEPARTED HERO’S PREFERRED SPEECH, A COPY OF WHICH I WAS PRIVY TO. THE CONSTITUTION IS A CONCERN AND RESPONSIBILITY OF ALL ZAMBIANS WHO ARE AND WILL FOREVER BE STAKEHOLDERS. AS I HAVE CONSISTENTLY MAINTAINED, THE PRESENT CONSTITUTION SAFEGUARDS OUR RIGHTS AND PROVIDES A BASIS FOR GOOD GOVERNANCE AND DEMOCRACY. WHERE THERE ARE BREACHES OF RIGHTS AND LOW LEVELS OF DEVELOPMENT AND THUS POVERTY, IT IS A MATTER OF HUMAN FACTORS AND LACK OF ADEQUATE SENSE OF DUTY, POOR WORK CULTURE AND IMPROPER PROGRAMMES OF ACTION. THESE DEFICIENCIES CANNOT BE REMEDIED BY EVEN THE BEST OF CONSTITUTIONS. ONLY RESOLVE, COMMITMENT AND CHANGE IN MINDSETS CAN GUARANTEE SUSTAINED DEVELOPMENT OF OUR COUNTRY. THE NATION HAS PLACED ON MY SHOULDERS HEAVY RESPONSIBILITIES TO BE THE CUSTODIAN OF PEOPLE’S INTERESTS AND TO OFFER GUIDANCE WHEN AND IF APPROPRIATE. MY CONSIDERED ADVICE TO THE ZAMBIAN PEOPLE IS THAT WE SHOULD TAKE TIME TO EFFECT CHANGES TO THE CONSTITUTION THAT WILL STAND THE LITMUS TEST OF TIME. LET US DIVORCE OUR PARTISAN AND PERSONAL INTERESTS FROM THE CONSTITUTION WHICH WE SHOULD ALL ENSURE IS A CREDIBLE LEGACY TO MANY GENERATIONS TO COME. THERE ARE MANY PERTINENT ISSUES THAT WARRANT OUR DEEP REFLECTIONS. ONE RELATES TO THE CURRENT EXCESSIVELY COSTLY ELECTORAL SYSTEM THAT CONSUMES INORDINATE RESOURCES THAT SHOULD BE DEPLOYED ON POVERTY REDUCTION PROGRAMMES. IT MAY BE PRUDENT TO CONSIDER LESS COSTLY ALTERNATIVES LIKE PROPORTIONAL REPRESENTATION. THIS SYSTEM DISTRIBUTES SEATS MORE EQUITABLY, FAIRLY AND PRECLUDES UNSUSTAINABLE COSTS IMPLICIT IN BY-ELECTIONS. THE OTHER ISSUE THE COUNTRY MAY WISH TO GIVE CONSIDERATION TO IS THE EXECUTIVE PRESIDENCY IN RELATION TO THE DISTRIBUTION OF POWER AND CHECKS AND BALANCES. AS WE HAVE SEEN IN THE NOT TOO DISTANT PAST, IT IS NOT ALWAYS THAT PRESIDENTS HAVE ACTED WITH THE MORAL RESTRAINT EXPECTED OF THEM. IT IS THEREFORE NOT INEXPEDIENT FOR THE COUNTRY TO CONSIDER SEPARATING THE EXECUTIVE FUNCTIONS OF THE PRESIDENCY BY REASSIGNING THOSE FUNCTIONS TO ANOTHER OFFICE SUCH AS PRIME MINISTER. (1) NOT TO WRITE OUR SHORT-TERM PERSONAL AND PARTISAN INTERESTS INTO THE CONSTITUTION AND TO AVOID INDECENT HASTE, MANIPULATION AND STAGE-MANAGING THINGS. (2) THE CONSULTATIONS MUST BE GENUINE AND EXTENSIVE SO THAT AT THE END OF THE DAY, PEOPLE’S OWNERSHIP OF THE CONSTITUTION IS TOTALLY BEYOND DISPUTE AND ABOVE THE LINE. LET US CHANGE THE POLITICS OF OUR COUNTRY FROM MUD-SLINGING TO ISSUES AND ADDRESSING THE EFFICACY OF SYSTEMS. SMEAR CAMPAIGN BY THOSE SHOWN RED CARDS AND WHO ARE PROVEN AND ORDAINED HIGH PRIESTS OF CORRUPTION AND GIVEN LAVISH PLATFORMS BY SECTIONS OF THE MEDIA THAT HAVE ALWAYS STOOD ON THE LOWEST MORAL GROUND WILL NOT IMPROVE THE GOVERNANCE OF OUR COUNTRY. THE ARREST OF MORAL EROSION IN OUR COUNTRY, WHICH IS GLARINGLY PALPABLE, CAN ONLY BE EFFECTIVELY DONE BY REVAMPING KEY INGREDIENTS IN THE GOVERNANCE STRUCTURES OF OUR COUNTRY. TARGETING THOSE ENTRUSTED TO GOVERN OUR COUNTRY MAY ERODE AND DENT CREDIBILITY BECAUSE IN LIFE, APPEARANCE AND PERCEPTION MAY INVARIABLY MATTER MORE THAN REALITY. THE ISSUE OF PERCEPTION AND REALITY TAKES ME DOWN MEMORY LANE IN 1981 WHEN I WAS ON A SIX WEEK STUDY TOUR OF AMERICA, COURTESY OF THE USA GOVERNMENT. THIS TOUR SENT ME TO NEW YORK, HARTFORD CONNECTICUT, CHICAGO, SAN FRANCISCO, LOS ANGELES AND NEW ORLEANS. WHEN I GOT TO WASHINGTON, BY ARRANGEMENT MY COLLEAGUE AND BROTHER V.J. MWAANGA WAS THERE AND ASKED ME TO JOIN HIM ON HIS VISIT TO THE WHITE HOUSE TO MEET HIS FORMER COLLEAGUE AT THE UNITED NATIONS AND THEN VICE PRESIDENT OF THE USA, GEORGE H.W. BUSH. WHEN WE GOT TO THE VICE-PRESIDENT’S OFFICE IN THE ERA OF RONALD REAGAN, IT WAS CLEAR THAT THERE WAS PROFOUND AFFINITY BETWEEN VICE PRESIDENT BUSH AND VJ. A SUPPOSEDLY FIFTEEN MINUTE COURTESY CALL STRETCHED TO ONE AND HALF HOURS. WHILE TALKING ABOUT THE ERRANDS TO PRETORIA, SOUTH AFRICA OF DR. CHESTER CROCKER, WHO WAS ASSISTANT SECRETARY OF STATE FOR AFRICAN AFFAIRS, FOR WHAT WAS APPROPRIATELY CALLED CONSTRUCTIVE ENGAGEMENT, VJ INTIMATED THAT I SHOULD MAKE A COMMENT; THIS WAS ESSENTIALLY THAT ALTHOUGH IN REALITY THE AMERICANS WERE TRYING TO ASSURE THE HATED APARTHEID REGIME OF GOODWILL IN ORDER TO INFLUENCE THAT REGIME TO MOVE IN THE RIGHT DIRECTION, THE AFRICAN GOVERNMENTS PERCEIVED THAT EXERCISE TO BE A COLLUSION WITH A HATED REGIME. I SAID TO THE VICE PRESIDENT THAT THIS WAS BECAUSE IN LIFE, APPEARANCE AND PERCEPTION INVARIABLY MATTERED MORE THAN REALITY. VICE PRESIDENT BUSH AGREED WITH THIS SENTIMENT AND STATED THAT MY VIEW WAS IN SOME WAY EXPRESSED BY A RESPECTED AMERICAN LEADER WHO COINCIDENTALLY HAD SAT IN THE SAME CHAIR I WAS OCCUPYING. AS A LEADING PARTY IN OUR COUNTRY, WE SHOULD BE AWARE OF PUBLIC PERCEPTION. CURRENTLY, THE IMAGE OF OUR PARTY SEEMS TO BE ON A DOWNWARD SPIRAL BECAUSE OF THE PERCEPTION, RIGHT OR WRONG, THAT THERE IS WIDESPREAD CORRUPTION IN THE PF ADMINISTRATION. MINISTERS ARE WRONGLY TARGETED BUT MUCH OF THE ROT IS AT THE CIVIL SERVICE LEVEL. INSTITUTIONS THAT ARE SUPPOSED TO GUIDE AND SUPERINTEND THE OPERATIONS OF THE PUBLIC SERVICE HAVE BECOME PROCUREMENT ENTITIES FOR THE GLORY AND BENEFIT OF A FEW INDIVIDUALS. THE PF NEEDS TO INDULGE IN SERIOUS SOUL SEARCHING AND SET DISTINCT MORAL/ETHICAL BENCHMARKS. AS A NATION, WE NEED A MORAL CRUSADE TO ENTRENCH AWARENESS THAT THERE IS MORE TO LIFE THAN MATERIAL TRAPPINGS. CHURCHES SHOULD EMBRACE DEEPER MORALITY THAN INADVERTENTLY JUMPING ON THE CORRUPTION BANDWAGONS. TO PRAY AND GIVE GLORY TO GOD IS A SACROSANCT DUTY AND OBLIGATION BUT CHURCHES MUST NOT WITTINGLY OR INADVERTENTLY ALLOW FAKE PROFESSION TO PRAYER AS A MEANS TO ESCAPISM. AS A COUNTRY, WE SHOULD SERIOUSLY REFLECT ON THE MORAL EROSION WHICH ENGULFS THE ENTIRE SOCIETY. THE COUNTRY IS INEXORABLY BECOMING A MORAL AND INTELLECTUAL VACUUM AS WE ALL EMBELLISH, RECYCLE AND GLAMOURISE WORN OUT SLOGANS, CLICHÉS AND MYTHS. THE ECONOMY WILL CONTINUE TO EXPERIENCE SOME TURBULENCE AS THE GLOBAL ECONOMY STRUGGLES FOR MORE ROBUST GROWTH RATES THAT ARE A STIMULANT TO DEVELOPING COUNTRIES. THE SLOWDOWN IN THE CHINESE ECONOMY AND THE STRONGER EMERGING MARKET ECONOMIES THAT ENGENDER FASTER GLOBAL ECONOMIC IMPETUS WILL CONSTRAIN HIGHER COMMODITY PRICES. THE HISTORIC STRUCTURAL DEFORMITY IN THE BUDGET WHICH ENTAILED IN EXCESS OF 70% OF THE BUDGET ACCOUNTING FOR EMOLUMENTS AND RELATED EXPENSES HAS NOW REDUCED TO 54%. BUT THE RISE IN EXTERNAL AND INTERNAL DEBT SERVICE WHEN FACTORED INTO THE EQUATION MEANS THAT THE TWO CONSTITUTIONAL AND STATUTORY OUTLAYS TAKE UP 81% OF THE BUDGET. ALTHOUGH GOVERNMENT, QUITE COMMENDABLY, EXECUTES MANY DEVELOPMENT PROJECTS THROUGHOUT THE COUNTRY, THERE WILL BE LITTLE LAPSES IN SERVICE DELIVERY. THE REALISTIC EXPECTATION IN ECONOMIC GROWTH AND JOB CREATION CAN ONLY COME FROM THE PRIVATE SECTOR. GOVERNMENT HAS NOW AN EVEN GREATER COMPELLING NEED FOR POLICY CONSISTENCY AND PREDICTABILITY. UNNECESSARY WRANGLES WITH INDUSTRY ARE PUERILE – MINING COMPANIES ABSORB QUITE A LOT OF UNWARRANTED BASHING AND YET FOR A LONG TIME TO COME, MINING COMPANIES WILL REMAIN THE MAIN STAY OF THE ECONOMY. THIS SECTOR IS AVERY TOUGH AND COSTLY ONE AND NOT AS GLAMOROUS AS MOST PEOPLE IMAGINE. AS FOR CHEATING ON TAXES, THE CURRENT MINERAL ROYALTY SLIDING SCALE PRE-EMPTS POSSIBLE SCAMS BECAUSE IN THE EVENT THAT COPPER PRICES MOVE SUBSTANTIALLY UPWARD, GOVERNMENT CAN APPROPRIATELY ADJUST THE MARGINAL RATE AND IF LOGIC IS ASSIGNED SOME PRIMACY, MAKE THE ADJUSTMENT A FINAL TAX. WE NEED TO INDUCE MORE INVESTMENT IN A DIVERSIFIED MINING SECTOR. THE FAST TRACK FOR ECONOMIC GROWTH IS GREATER INVESTMENT, BOTH FOREIGN AND LOCAL, IN AGRICULTURE AND FORESTRY. PAYING FARMERS AND DISTRIBUTING INPUTS FAR BEYOND NOVEMBER/DECEMBER IS A RECIPE FOR DISASTER AND REGRESSION. MORE REFLECTION ON AGRICULTURE IS NEEDED. WE ARE SLIDING BACKWARDS WHEN WE SHOULD BE MAKING PROGRESS. COTTON PRODUCTION PEAKED AT 260,000 TONS IN 2012 AND IT WAS HEART-BREAKING TO HEAR THAT THE 2017 COTTON PRODUCTION WAS A PALTRY 89,000 TONS. THIS DECLINE IS BECAUSE SMALL SCALE FARMERS IN 2012 WERE NOT PAID PRICES WHICH WERE A FAIR AND ADEQUATE RECOMPENSE FOR THEIR BACK-BREAKING LABOURS; AS A CONSEQUENCE, COTTON PRODUCTION IN THE COUNTRY SET OFF ON A DOWNWARD TRAJECTORY. COTTON HAS PROFOUND BENEFICIAL MACRO-ECONOMIC RAMIFICATIONS – LINT FOR THE TEXTILE INDUSTRY, OIL FOR CONSUMPTION AND A RICH CAKE AS PROTEIN ADDITIVES IN STOCK FEEDS. THE ECONOMIES OF KENYA, UGANDA AND ETHIOPIA ARE COFFEE DRIVEN, AND IN ZAMBIA WE ARE NOT EMBARRASSED TO PRODUCE A MISERABLE 5,000 TONS. AGRICULTURE WILL ONLY HAVE A FUTURE IF PEOPLE GROW CROPS IN THE APPROPRIATE ECOLOGICAL ZONES. SMALL SCALE FARMERS, THROUGH IMPROVED AGRONOMY, CAN INCREASE YIELDS WITHOUT COMMENSURATE INCREASE IN COSTS; THEN WE WILL NOT NEED THE FARMER INPUT SUPPORT PROGRAMME (FISP) AND OTHER GIMMICKS SHROUDED IN IRREGULARITIES. FORESTRY, ADEQUATELY FUNDED, CAN CREATE JOBS AND GENERATE EXPORTS. WE MOBILISED MONEY FROM THE AFRICAN DEVELOPMENT BANK (AfDB) FOR CASHEW NUTS WHICH HAS HUGE POTENTIAL. MORE MONEY CAN BE SOURCED BUT AN INSTITUTION SUCH AS THE ZAMBIA FOREST AND FORESTRY INDUSTRIES CORPORATION (ZAFFICO) SHOULD RUN THE SCHEME AS THEY WILL BE ABLE TO PROVIDE THE SEEDLINGS TO SMALL SCALE FARMERS EXPEDITIOUSLY. OVERALL, WHAT THE ABOVE ISSUES REQUIRE NEED ARE FINANCIAL RESOURCES. I HAVE HEARD SOME UNCHARITABLE COMMENTS ON SOCIAL MEDIA ABOUT HON. DORA SILIYA. YET DORA IS CEREBRAL, QUICK ON THE UPTAKE AND COMMITTED. LET US PUT ADEQUATE RESOURCES IN THE AGRO-SECTOR AND THE RETURNS WILL BE VERY SALUTARY.